Following their successful residency at Soneva Art and Glass in the Maldives, Latitude presents new work from James Devereux and Louis Thompson inspired by their time there. During their February/March residency in the Maldives Louis and James worked in the Soneva Art & Glass hot shop experimenting with new techniques and ideas. The purpose of their residency was to develop existing threads in their work and allow the tropical surroundings to affect their current artistic pre-occupations. 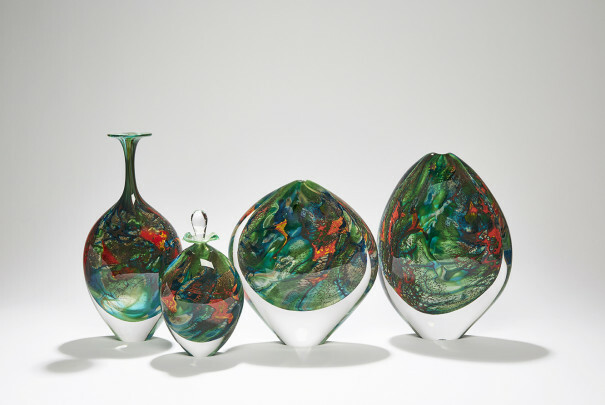 London Glassblowing are delighted to be bringing some of their Soneva experience to the gallery with an impressive showcase of work and host an afternoon of glassblowing demonstrations, Saturday, 23 June from 2 p.m to 5 p.m. Visit the Event Brite page to reserve a space, or drop in from 2 p.m to 5 p.m to see these two masters at work! 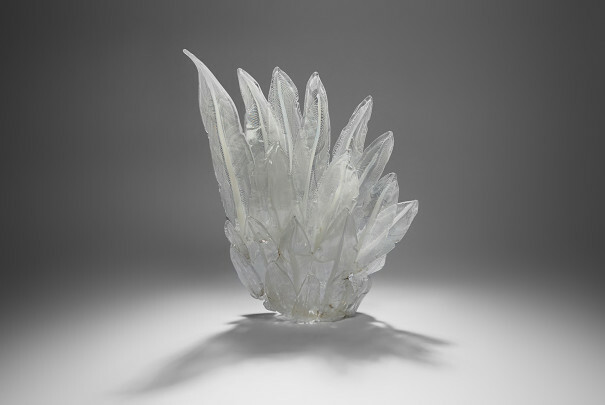 Devereux and Thompson share uncommon approaches to the medium, Devereux working as glass technician at the Royal College of Art from 2009 to 2013, where the two artists first met, and receiving wide acclaim for his hot chipped technique used in his Clovis pieces. Thompson’s insightful blend of concept and technical skill have garnered attention from institutions like Salisbury Cathedral, New Glass Review 38in 2016, and the Jerwood Prize in 2012. 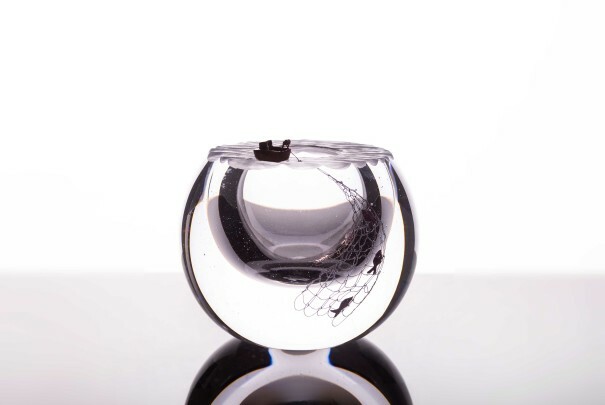 World renowned for its commitment to ecological responsibility and sustainability, Soneva Art & Glass works exclusively with recycled glass, giving new life to the five tonnes that are produced in the area each month. 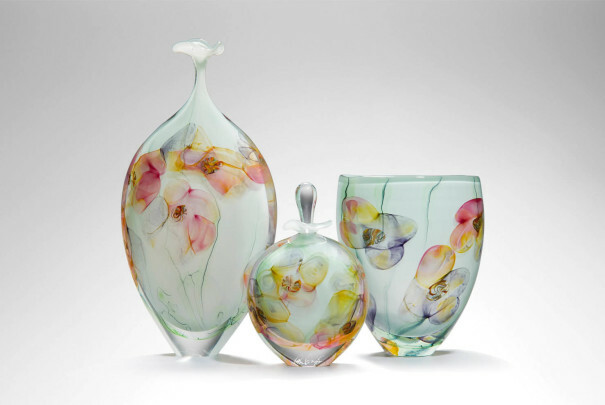 The retreat in the Maldives attracts leading glass artists from around the world. Other artists the studio has welcomed include masters Lino Tagliapietra, Howard BenTré and Martin Janecky. Images by Alicia Warner, Soneva Art and Glass, Soneva Fushi.